Now completely free! Photo Toolkit is a powerful and easy-to-use program to edit your digital images. 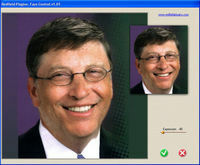 With only a few clicks, you can automatically remove red eye and correct colors of multiple photos (batch mode), retouch portraits, whiten teeth, add lighting effects, straighten and resize photos and more - and directly from the standard Windows picture viewer. Correct your shots while viewing them. Photo Toolkit includes several unique tools to improve your photos. Red Eye Remover is the fully automatic solution for red eye correction. You do not need to draw accurately over the red zone or use a brush to correct your photos. In most cases Photo Toolkit detects all instances of red eye on your photos and corrects them instantly. The program allows even a novice photographer to improve portrait photos in just a minute by performing simple and fast skin correction. 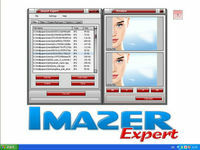 Several brush tools, each addressing a specific skin defect, approximate neighboring areas to overlap the defect, making the skin look natural and smooth. To make a perfect portrait even better, you can whiten teeth. The unique tool enables you to make teeth whiter without precise brush stokes. Just touch the area with a brush - and get the Hollywood smile. With the color correction function you can improve contrast, saturation and gamma with only one click. 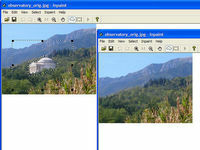 You can choose one of nine images resulted from the automatic correction or perform manual editing. Photo Toolkit also offers a set of options for advanced color correction. The Straighten plug-in offers the easiest way to straighten tilted photos simply by drawing a line that you want to be horizontal or vertical. With Photo Toolkit, you can also resize photos increasing or decreasing resolution for printing or sharing via web or email, crop and fine-tune the image, add artistic and lighting effects and more. 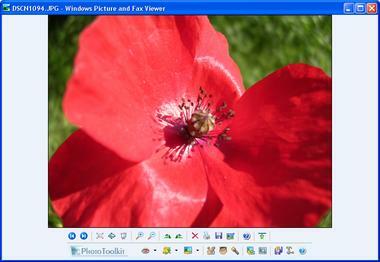 The program also contains a plugin for creating thumbnails of your photos for web galleries.